North Korea’s ambassador to the United Nations in Geneva, So Se Pyong, says his country is not planning any missile or nuclear tests. In a recent interview with Reuters news agency, So Se Pyong was also saying that North Korea was ready to resume six-party talks on its nuclear program. So Se Pyong also dismissed as “fabricated rumors” recent reports that North Korean leader Kim Jong-un is unwell. Kim Jong-Un has not been seen in public for four weeks, and missed an important political meeting in late September. A state TV report said Kim Jong-Un was suffering from an “uncomfortable physical condition”. In the interview with Reuters, So Se Pyong rejected the suggestion that North Korea was planning further missile tests. However, he appeared to suggest that North Korea’s policy was a response to US and South Korean exercises earlier this year. “We have to be alert also, we have to be prepared to make counter measures against that military exercise which are against us,” So Se Pyong was quoted as saying. North Korea pledged to abandon its nuclear program in 2005, but appeared to backtrack by testing devices in 2006 and 2009. The program was the subject of six-nation talks, involving Russia, China, Japan, the US and North and South Korea, until 2009. 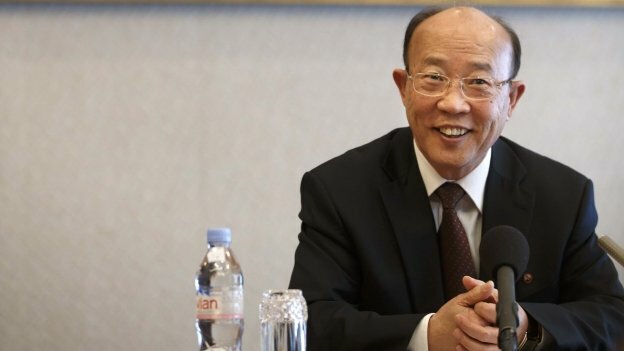 “For the six-party talks we are ready,” So Se Pyong said, adding that Russia and China were also prepared. “But America, they don’t like that kind of talks right now,” he was quoted as saying. So Se Pyong also told Reuters North Kroea’s nuclear program had acted as a deterrent against the US. “In case if we give [the weapons] up like other countries, then of course I think they would have attacked us already,” he was quoted as saying. So Se Pyong said he was unaware of US efforts to secure the release of three American citizens held in North Korea on charges of crimes against the state. “I don’t know whether America is ready or not to release them or have some understandings or the recognition of those crimes they made,” he said.